The guitar riff on this track bares more than a passing resemblance to the theme song from the James Bond film “You Only Live Twice” – that was released the same year as this record. If you have any further information about the Avengers, or know if they produced any other recordings, please contact me or leave a comment. 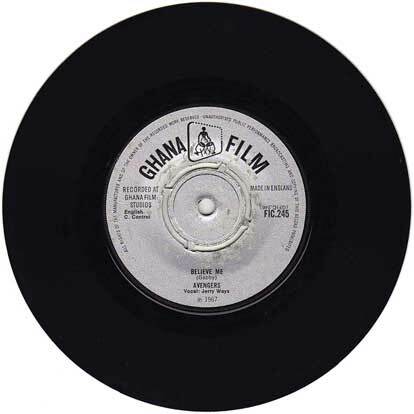 Catalog number FIC.245 on Ghana Film Studios, manufactured in England. Released 1967.